by me, then hour on hour. I lie here awake and alone. 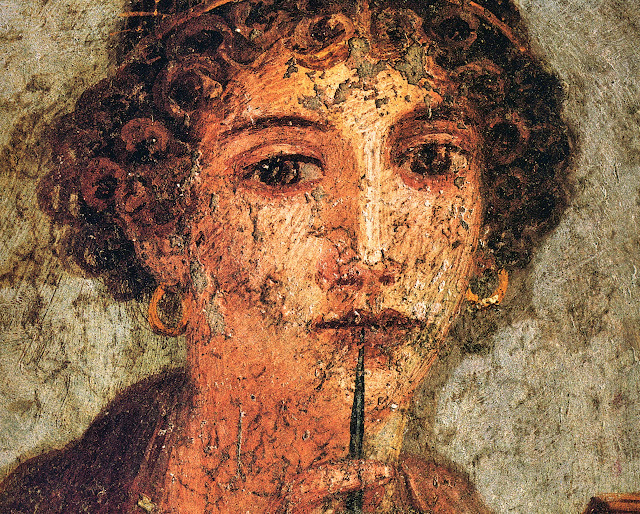 Anne Carson says, "Sappho is a musician," and her own Sappho translations are some of the most musical English versions of Classical Greek poetry I've ever read (see the first link below). Many translators simply put the poet's thoughts into modern English, without trying to reproduce Sappho's music. In this translation of one of the best known fragments attributed to Sappho (no. 168b), I've maintained the eight-syllable count of the Greek lines and echoed the meter as closely as I could. I've also been mindful of the caesura (the mid-line pause in Classical verse): in lines 2, 3 and 4, it falls in the same place as in the Greek. In order to replicate Sappho's meter, I've altered a few line-to-line meanings. For example, the phrase that runs over from line 2 to line 3 means, "It is the middle of the night". I've changed that to "Midnight slides by me" to meet the needs of the meter. 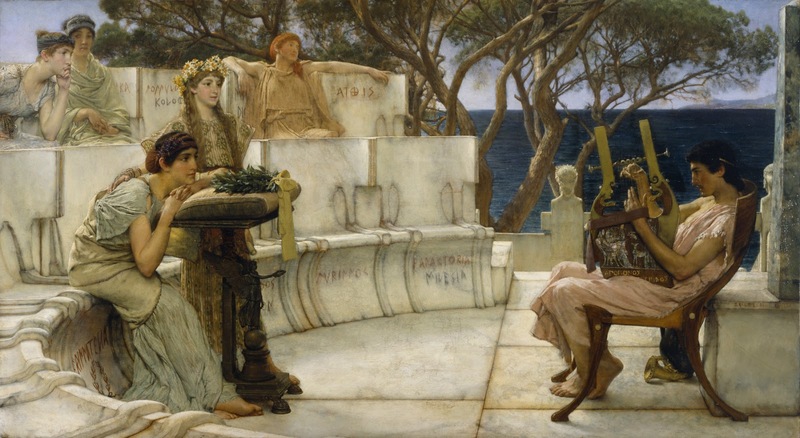 Edith Hall reviews "The Complete Poems of Sappho"
"Aeolian song is suddenly revealed as a mature work of art in the spirited stanzas of Alcaeus. It is raised to a supreme excellence by his younger contemporary, Sappho, whose melody is unsurpassed, perhaps unequalled, among all the relics of Greek verse."